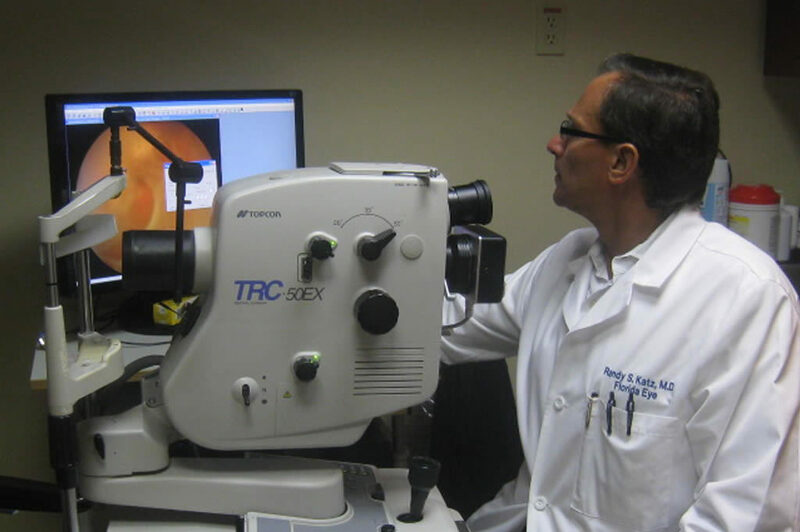 Dr. Randy Katz, Florida Eye’s retina/vitreous specialist has always made it a point to discuss yearly eye exams as the key to preserving healthy eyesight. Macular degeneration is the leading cause of blindness in adults 65 years and older, currently affecting more than 15 million Americans, with 200,000 new cases diagnosed each year, according to AMD.org. One of the first signs of macular degeneration can be wavy, broken or distorted lines OR a blurred or missing area of vision. The Amsler Grid can help you spot these early. Early detection of wet AMD is critical because laser treatment, when indicated, is most successful when performed before damage occurs. Since dry AMD can lead to development of wet AMD, most patients should use the Amsler Grid. A simple test of your vision will alert you to any changes that may indicate a problem with macular degeneration or a worsening of your condition. This common test is known as the Amsler Grid. The Amsler Grid looks like graph paper, with dark lines forming a square grid. Some versions have white lines on a dark background. Print a copy of Florida Eye’s Amsler Grid. To receive a free Amsler Grid by mail contact Gwen Gottlieb at Florida Eye Microsurgical Institute. Prevent Blindness, the nation’s oldest volunteer eye health and safety organization, hosts a dedicated website. “The AMD Learning Center,” found at PreventBlindness.org, provides a variety of educational tools including AMD risk factors, treatment options, an Adult Vision Risk Assessment tool and downloadable fact sheets.